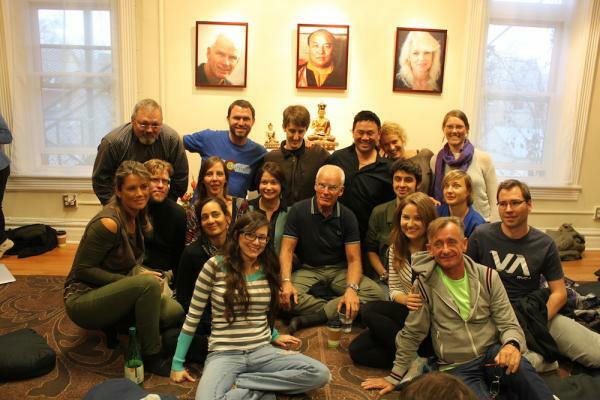 The Diamond Way Buddhist Center of Denver was founded in 2007 and belongs to an international non-profit network of over 600 lay Diamond Way Buddhist centers of the Karma Kagyu lineage of Tibetan Buddhism, founded by Lama Ole Nydahl and under the spiritual guidance of H.H. the 17th Gyalwa Karmapa, Trinley Thaye Dorje. We have 30-60 minute talks followed by a guided meditation on the 16th Karmapa on Wednesdays, and 10-minute talks followed by the same meditation every Thursday and Friday.